EVS International, the leader in solder recovery, will showcase the new EVS 500LF lead-free version and EVS 8KLF in the SONO-TEK Booth #2700 at the 2017 IPC APEX EXPO, scheduled to take place February 14-16, 2017 at the San Diego Convention Center. The simple but ruggedly designed EVS 500LF is highly ISO14001 compatible as it complies with the ISO mantra of reduce – reuse – recycle, enabling the customer to reduce solder consumption by up to 50+ percent, an unheard of reduction in the electronics production industry. The EVS 500 also can help to reduce dedrossing time by 75 percent and waste dross off-site by up to 85 percent. The system meshes perfectly with environmental control systems and also helps to reduce customers’ carbon footprint, an important environmental imperative, by utilizing the latent heat already imputed to the dross to help the recovery process. 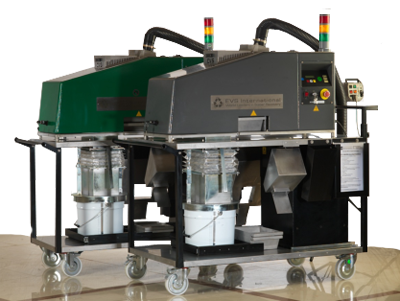 EVS International, the leader in solder recovery, will showcase the new EVS 500LF lead-free version in Booth the Sono-Tek #142 at SMTA International, scheduled to take place Sep. 29 - 30, 2015 at the Donald Stephens Convention Center in Rosemont, IL. EVS has drastically reduced the size, weight, complication and footprint, while creating a greener lead-free system – the EVS 500LF. The EVS 500LF has been designed to be the same size as a printer and is aimed at multiple markets, such as the customer with one lead wave and one lead-free wave, the customer who uses Nitrogen or wants to reduce their Nitrogen usage. Additionally, the system is designed for even the customer with selective solder pots who only removes small amounts of dross every hour or the customer with multiple waves where one EVS 500LF is connected to each wave to ensure that the maximum recovery is maintained throughout the life of the wave solder system. Users can quickly recover up to 80 percent of pure solder with a higher ROI from the waste dross. The simple but ruggedly designed unit is highly ISO14001 compatible as it complies with the ISO mantra of reduce – reuse – recycle, enabling the customer to reduce solder consumption by up to 50+ percent, an unheard of reduction in the electronics production industry. The EVS 500 also can help to reduce dedrossing time by 75 percent and waste dross off-site by up to 85 percent. The system meshes perfectly with environmental control systems and also helps to reduce customers’ carbon footprint, an important environmental imperative, by utilizing the latent heat already imputed to the dross to help the recovery process. EVS International, the leader in solder recovery, will showcase the new EVS 500LF lead-free version and EVS 8KLF in Booth #1141 at the 2016 IPC APEX EXPO, scheduled to take place March 15-17, 2016 at the Las Vegas Convention Center. All at EVS International wish to thank everyone for your support in 2015 and wish everyone a merry Christmas and a happy new year. LOOK FORWARD TO SEEING YOU ALL IN 2016. All at EVS International wish to thank everyone for your support in 2014 and wish everyone a merry Christmas and a happy new year. LOOK FORWARD TO SEEING YOU ALL IN 2015 and showing you the new EVS 500 Desktop that will be launched early next year. EVS International, the leader in solder recovery, announces that its distributor, ITEC IBERICA KLD, will showcase the EVS 500 in Stand 4D08 at MATALEC, scheduled to take place Oct. 28-31, 2014 in Madrid, Spain. With the new EVS 500, EVS has managed to drastically reduce the size, weight, complication and footprint, while improving the tried and tested performance of the larger EVS systems. EVS has continually improved the performance of the EVS units and the new EVS 500 is no exception. EVS is running at record recovery rates on its beta test production facilities with experienced users of the current range being pleasantly surprised by the improvements in recovery rates. With the new concept of improved performance plus the significant reduction in price enabling everyone to enjoy the savings an EVS solder recovery system can offer. The EVS 500 has been designed to be the same size as a printer and is aimed at multiple markets. The customer with one lead wave and one lead-free wave, the customer who uses Nitrogen or wants to reduce their Nitrogen usage, the customer with selective solder pots who only removes small amounts of dross every hour or the customer with multiple waves where one EVS 500 is connected to each wave to ensure that the maximum recovery is maintained throughout the life of the wave solder system. Users can quickly recover up to 80 percent of pure solder with a higher ROI from the waste dross. The simple but ruggedly designed unit is highly ISO14001 compatible as it lives by the ISO mantra of reduce – reuse – recycle, enabling the customer to reduce solder consumption by up to 50+ percent, an unheard of reduction in the electronics production industry. The EVS 500 also can help to reduce dedrossing time by 75 percent and waste dross off-site by up to 85 percent. The system meshes perfectly with environmental control systems and also helps to reduce customers’ carbon footprint, an important environmental imperative, by utilizing the latent heat already imputed to the dross to help the recovery process. EVS International, the leader in solder recovery, is pleased to announce that it has appointed Hitech Eletrônica as its distributor in Brazil. Hitech Eletrônica is an industry-recognized specialist in electronic products. "Simon G. Norman, Business Director, EVS International, said, “Hitech is an expert in its field with a wealth of experience and an impressive reputation for support and service. With the heightened awareness of the environment in Brazil and the significant increase in solder costs over the last several years, every manufacturer is looking to reduce costs, improve productivity and conform to IS14001. EVS Solder Recovery systems contribute significantly in these areas. Joining a partnership with Hitech will give EVS International a strong presence in this important marketplace." Hitech Eletrônica is a South American representative and value-added distributor of a wide range of high-tech products, solutions and services covering the entire electronic design and production supply chain, including EDA, semiconductors, peripherals, production and test equipment as well as maintenance and professional services. Established in Brazil since 1974, Hitech operates out of two locations, SP and Manaus, and is qualified with many years of both technical and application expertise. Hitech Eletrônica will represent EVS International’s solder recovery equipment throughout Brazil. For more information about Hitech Eletrônica’s products and services, contact Marcos Eduardo, Hitech’s General Manager, at (55-19) 3935-2706 or on the Web at http://www.hitech.com.br. EVS International’s Updated Award-Winning Solder Recovery System Available at National Electronics Week South Africa. March 2014 EVS International, the World leader in solder recovery, will exhibit the updated, multiple award-winning EVS 1000 Solder Recovery System in Hall 4, Booth B19 at the National Electronics Week at the Gallagher Convention Centre Midrand Johannesburg on March 11th and March 12th. The new-generation EVS 1000 features all of the recovery performance of its standard and lead-free solder units. The smaller size and footprint helps to reduce cost and carbon footprint, while still providing a capacity of 5 kg / 10lbs of dross, resulting in rapid ROI as well as substantially improving the wave soldering process and improving productivity. The EVS 1000 can convert waste dross quickly into pure solder in minutes not hours, while improving the wave solder machine process. This provides a cleaner wave with less maintenance, less downtime, and a significant reduction in rework, shorts and bridging as well as the potential to discontinue the use of messy wave oils and/or dross reduction powders. Additionally, EVS 1000 is designed to enhance ISO-14001 and helps gain or retain this prestigious management standard. The EVS 1000 is aimed at small- to medium-volume users who typically have one to three wave solder machines and who must regularly dedross or use nitrogen to reduce drossing. This group currently comprises the majority of users in the industry. By using the EVS 1000, nitrogen can be dramatically reduced or eliminated, resulting in significant cost savings. The EVS 1000 has vastly increased EVS International’s coverage of the wave solder marketplace and has revolutionized its total market penetration , by returning a Very Rapid R O I EVS enhances its Customers profitability . For more information about EVS International’s industry-leading systems, visit with an EVS International representative in Hall 4, Booth B19 at the National Electronics Week at the Gallagher Convention Centre Midrand Johannesburg on March 11th and March 12th. » Improve wave solder machine effectiveness by reducing shorts. Less work = more profit. » Clean up your process. No need for dross-reducing powders, wave oils or nitrogen. » Dramatically reduce nitrogen consumption. EVS 500 is the newest innovation in a long line of world-leading, revolutionary technology from EVS International (winner of 17 international awards). The new patented technology is totally new and exciting. The EVS 500 can recover 60-85 percent of solder from the dross, which reduces solder consumption by up to 50 percent — an unheard of reduction in the electronics production industry — and reduces dedrossing time by 75 percent and waste dross offsite by up to 85 percent. EVS International, a World leader in solder recovery, will exhibit the updated, multiple award-winning EVS 1000 Solder Recovery System in Hall 9, Booth 304A at the SMT Hybrid Packaging exhibition and conference, scheduled to take place April 16-18, 2013 at the Messezentrum in Nuremberg, Germany. The new-generation EVS 1000 features all of the recovery performance of its standard and lead-free solder units. The smaller size and footprint helps to reduce cost and carbon footprint, while still providing a capacity of 5 kg/10lb of dross, resulting in rapid ROI as well as substantially improving the wave soldering process and improving productivity. The EVS 1000 can convert waste dross quickly into pure solder in minutes not hours, while improving the wave solder machine process. The EVS 1000 has vastly increased EVS International’s coverage of the wave solder marketplace and has revolutionized its total market penetration, by returning a Very Rapid R O I EVS enhances its Customers profitability. For more information about EVS International’s industry-leading systems, visit with an EVS International representative in Hall 9 Booth 304A during SMT Hybrid Packaging 2013 or visit www.solderrecovery.com. EVS International, the leader in solder recovery, will debut the newest system in its award-winning EVS series, the new EVS 8K LFHS Lead-Free Solder Recovery System, in distributor SMA Technologies’ Booth # L70 at the upcoming 27th International Electrical, Energy and Automation Industry Fair (FIEE), scheduled to take place April 1-5, 2013, at the Anhembi Exhibition Centre, in Sao Paulo, Brazil. EVS International has worked extensively with the global marketplace to gain invaluable feedback from which to develop enhanced solder dross recovery solutions that surpass the high standards required from a modern manufacturing environment, particularly with regard to significant improvement of thermal efficiency, ease of operation, maintenance and environmental management. The new EVS 8K is the result of this process and offers manufacturers solutions for all of their existing issues to deliver a reduced carbon footprint, advanced electronic controls and integrated diagnostics. EVS has listened to both customer and distributor feedback and responded with many upgrades, exciting innovative changes and improvements to its solder recovery system range. The new solution contains multi-stroke software, which significantly increases solder recovery rates by an impressive 15-20 percent; a new no hinges door concept, resulting in greater and easier access when performing cleaning stop and PM; and a new, improved loading tray that broadens the loading area and keeps the top of the EVS even cleaner. The pioneering High Solids Filtration System on the new Lead-Free EVS 8K dramatically increases air flow and dust/smoke capture, which is particularly important with some lead-free fluxes, while maintaining the small footprint of the new four wheels steer cart with its pull-out service drawer. The system is complete with an LED monitoring system that shows a green light for normal running, an amber light when 75 percent of the combination filter is used and a red light when the combination filter should be changed. This in-house design is simple to maintain with its built-in logic. With its unique simplicity of operation and high recovery rates, the system provides fast payback and pure solder quality. The solder recovery system also improves the process by reducing shorts, bridging and rework, significantly improving wave solder machine productivity, cleanliness, and lowering pump maintenance and downtime. For more information about EVS International’s industry-leading systems, visit with an EVS International representative at its distributor SMA Technologies’ Booth # L30 during FIEE 2013 or visit www.solderrecovery.com. EVS International, a leader in solder recovery, announces that it has been awarded a 2013 NPI Award in the category of Soldering – Other for its EVS 10K Solder Recovery Machine. 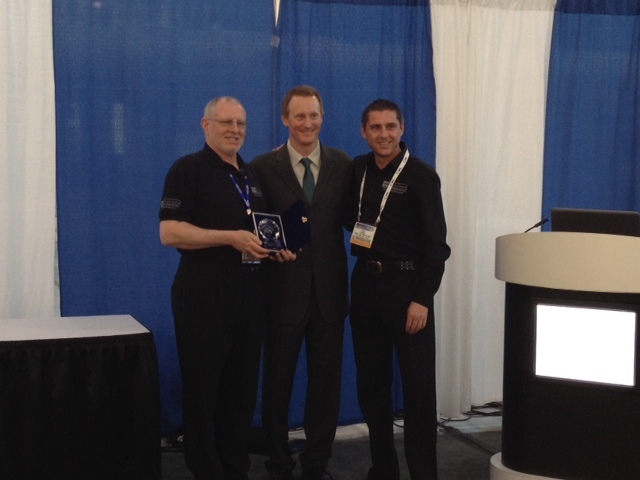 The award was presented to the company during this year's NPI Award ceremony that took place on February 19, 2013 at the San Diego Convention Center in California. This year marks the company’s fifth consecutive NPI Award. EVS 10K is a totally stand-alone unit that utilizes the heat from the solder pot to enhance the recovery from the solder dross. Additionally it can reduce any Nitrogen used by customers by up to 65 percent, lowering manufacturing costs by a significant amount. With its unique simplicity of operation and high recovery rates, the system provides fast payback and pure solder quality. The solder recovery system also improves the process by reducing shorts, bridging and rework, significantly improving wave solder machine productivity, cleanliness, and lowering pump maintenance and downtime. EVS is delighted that the NPI Award program and the industry has recognized these efforts with the creation of the new 10K Solder Recovery System. These numerous improvements are designed to reduce the carbon footprint, improve the already impressive return on investment (ROI) and operating efficiency while significantly improving access and ease of service. EVS is confident that these improvements will solidify the company’s number one position as the world leader in solder recovery where carbon foot print reduction is just as important as the very fast ROI and the important customers’ nitrogen reduction. The company is continually looking to expand the choices available to its customers, and its research and development team is dedicated to bringing new concepts and processes. EVS International, the leader in solder recovery, will introduce the newest system in its award-winning EVS series, the new EVS 8K LFHS Lead-Free Solder Recovery System, in distributor Sono-Tek’s Booth #3400 at the upcoming IPC APEX EXPO, scheduled to take place February 19-21, 2013 at the San Diego Convention Center. All at EVS International wish to thank everyone for your support in 2012 and wish everyone a merry christmas and a happy new year. LOOK FORWARD TO SEEING YOU ALL IN 2013 and showing you the new EVS 500 Desktop that will be lauched in the spring. EVS International, the leader in solder recovery, announces the launch of two new systems in its award-winning EVS series, the new EVS 8K and EVS 10K Lead and Lead Free Solder Recovery System range. EVS International worked with the global marketplace to gain invaluable feedback from which to develop solder dross recovery solutions that satisfy the high standards required from a modern manufacturing environment particularly with regard to reliability, ease of operation, maintenance and environmental management. The new EVS 8K and EVS 10K are a culmination of this process and offer manufacturers solutions for all of these issues with reduced footprint, advanced electronic controls and integrated diagnostics. EVS have listened to its customers and distributors feedback with many upgrades and improvements to the solder recovery system range. EVS have many new upgrades and exciting innovative changes to these new systems. EVS have new multi-stroke software that has increased the recovery rates. We are continually looking to improve the EVS machines and take everyone's feedback very seriously. After listening to comments from customers and distributors suggestions we acted on the feedback given and decided to use this time to develop an upgraded Lead and Lead Free machine. We have listened to everyone's, likes, dislikes and suggestions and took this time to improve the EVS systems. We look forward to showing you the new systems very soon and are confident that will be happy with the results. For more information, visit www.solderrecovery.com. EVS International, the leader in solder recovery, announces that it will showcase its lead-free, multiple award-winning EVS 1000LF Solder Recovery System at its German distributor, Microtronic GmbH’s, Stand 9-304A during SMT/Hybrid/Packaging 2012, scheduled to take place May 8-10, 2012, in Nuremberg, Germany. The EVS 1000LF is a smaller, lighter, lead-free version of the popular EVS 7000/9000 Systems, with all of the recovery performance of the standard and lead-free solder units. The smaller size and footprint help reduce the cost, but still provide a capacity of 10lb/5kg of dross, giving a rapid payback and impressive return on capital employed. The EVS 1000 can quickly convert waste dross into pure solder in minutes not hours, while improving the wave solder machine process. This provides a cleaner wave with less maintenance, less downtime, and a reduction in shorts and bridging as well as the potential to discontinue the use of messy wave oils and/or dross reduction powders. The EVS 1000 is aimed at small to medium users who typically have one to three wave solder machines and who must regularly de-dross or use nitrogen to reduce drossing. This group currently comprises the majority of users in the industry. By using the EVS, nitrogen can be dramatically reduced or eliminated, resulting in significant cost savings. During the past several months, rising solder prices have made manufacturing electronics goods increasingly more expensive. Manufacturers are working hard to find alternative ways to reduce these costs. Fortunately, EVS International has the solution for this - The EVS range of solder recovery systems. Significant Reduction in Nitrogen Consumption when you recycle your Dross [Up to 66% on site tests ] EVS customers have been turning down nitrogen by up to 50-66%, with no side effects to production, Yes, dross will slightly increase but this is what the EVS Solder recovery Systems are for.Nitrogen reduction is another saving that the EVS range brings. 2012 saw EVS receive its 15th industry award for its Lead-Free EVS 9000. This prestigious NPI 2012 award is one of numerous international awards that have been bestowed on the EVS range of machines. EVS Internationals’ Solder Recovery Systems are recognized worldwide as some of the most innovative, state of the art technologies that can guarantee a considerable Rapid Return on Investment. Independently verifiable data based on one EVS machine being fully operational for 50 weeks a year has been proven to equate to astounding levels of Return on Investment. A staggering level of savings means that the EVS machines can pay for themselves in months not years, a payback that nobody can afford to ignore. For further information about EVS International’s industry-leading systems, please speak with a representative in Hall 9, Booth 304A during the exhibition or visit www.solderrecovery.com. EVS recovery systems have won numerous international awards at APEX, NEPCON China and Productronica expos! Graham and Jason Norman of EVS International accept the 2012 NPI Award from Mike Buetow, Circuits Assembly magazine's Editor-in-Chief. EVS International has been awarded a 2012 NPI Award from Circuits Assembly magazine in the category of Soldering - Other for its EVS 7000LFHS Solder Recovery System. "We are very humbled to receive this prestigious award from one of the premier experts in our industry. It is gratifying that when we listen to our many customers and take cognizance of their needs to enhance their EVS experience and improve their ROI, we are rewarded with this win. We will treasure this award." The company recently completed a total redesign of the software and thermal insulation, resulting in a significant increase in recovery rates of up to 80 percent by weight by improving the thermal efficiency and redesigning the software and mechanical solder path. These advances in thermal efficiency, software and mechanical efficiency lead to a significant reduction in carbon footprint and enhance EVS' already high contribution to ISO 14001. The new High Solids Filtration System on the Lead-Free EVS 7000 dramatically increases air flow and dust/smoke capture, which is especially important with some lead-free fluxes, while maintaining the small footprint of the new four wheel steer cart with its pull-out service drawer. The system is complete with an LED monitoring system that shows a green light for normal running, an amber light when 75 percent of the combination filter is used, and a red light when the combination filter should be changed - this in-house design is simplicity itself to maintain with its built-in logic. Don't miss this opportunity to take control of rising solder costs! Click here to learn more. January 2012 — EVS International, the world leader in solder recovery, announces that it will exhibit its EVS 7000LFHS in Booth #3700 at the upcoming IPC APEX Expo, scheduled to take place February 28-March 1, 2012 at the San Diego Convention Center in California. EVS will preview its latest innovations and upgrades including new operating parameters and software, increased extraction, improved thermal efficiency and dramatically increased recovery percentages. These new, improved features combine to significantly lower customers’ carbon footprint by enhancing their ability to attain and retain the corporate environmental standard, ISO 14001. EVS also will detail its new Nitrogen Reduction System. With these new and improved systems and upgrades, customers can significantly reduce nitrogen consumption by lowering nitrogen flow to the wave with no loss in solder ability or quality (up to a 66 percent saving have been achieved on site trials). The new High Solids Filtration System on the Lead-Free EVS 7000 dramatically increases air flow and dust/smoke capture, which is especially important with some lead-free fluxes, while maintaining the small footprint of the new four wheels steer cart with its pull-out service drawer. The system is complete with an LED monitoring system that shows a green light for normal running, an amber light when 75 percent of the combination filter is used and a red light when the combination filter should be changed — this in-house design is simplicity itself to maintain with its built in logic . With its unique simplicity of operation and high recovery rates, the system provides fast payback and pure solder quality. The Solder Recovery system also improves the process by reducing shorts, bridging, and rework, significantly improving wave solder machine productivity, cleanliness and lowering pump maintenance and downtime. If you use wave solder machines, look into the extensive savings and process improvements that these new EVS products offer. For more information, visit with an EVS International representative at its distributor Sono-Tec’s Booth #3700 at the show or visit www.solderrecovery.com. ALL AT EVS INTERNATIONAL WOULD LIKE TO WISH EVERYONE A SPECIAL CHRISTMAS AND A HAPPY NEW YEAR. 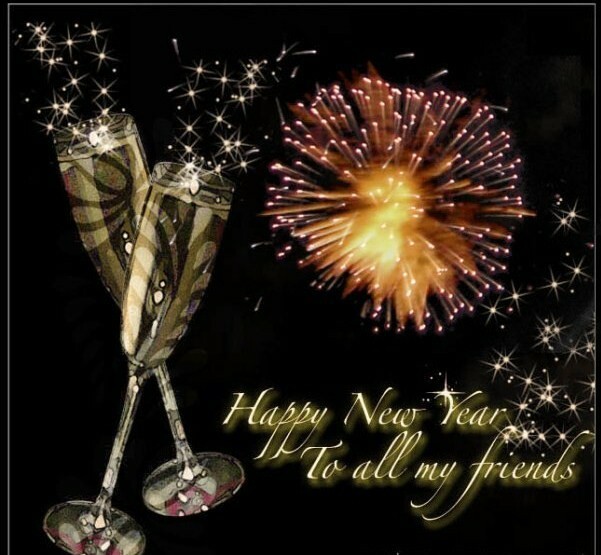 THANK YOU FOR ALL YOUR SUPPORT IN 2011 AND WE LOOK FORWARD TO 2012. 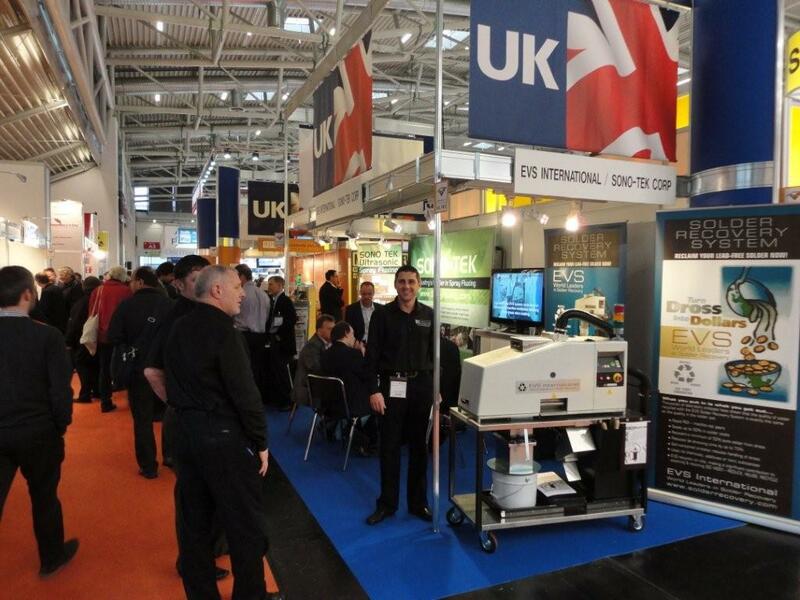 Productronica 2011 proves to be a great success. 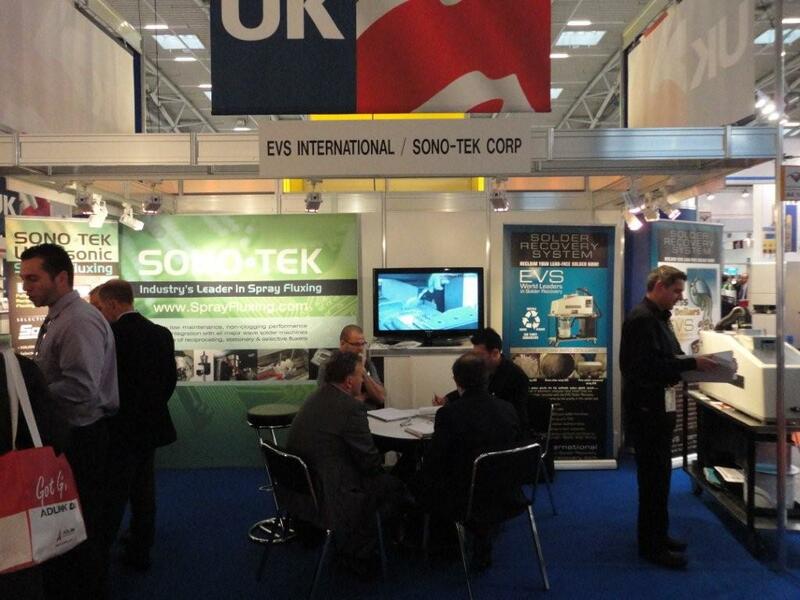 EVS/Sono-Tek joint stand at Productronica was a great success with a record number of enquires for both EVS Solder Recovery Systems and Sono-Tek Corp Spray Fluxing systems and other spraying equipment. The 4 day show held in munich Germany was very well attended and with the number of enquires for our equipment it proves in these more chalenging times customers are eager to find products for saving money. Thank you to everyone who visited the stand at the show and thank you for your continued support.